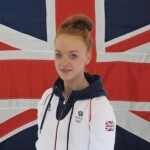 Great Britain’s world class performance programme will be welcoming five new recruits. The athletes have been hand-picked from the Academy’s very own talent pathway programme, funded by Sport England, as well as this year’s instalment of the UK Sport and EIS supported Fighting Chance initiative. No strangers when it comes to the Taekwondo circuit, Junior World Champion Abigail Stones of TKD Academy Liverpool and Spanish Open medallist Taylor Goodall have already built up quite an impressive track record through the talent pathway programme and will join the GB Academy before heading off to compete in Latvia, as part of this year’s Junior European Squad. 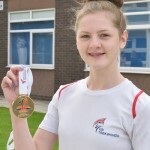 Liverpool born Abigail has also been selected to represent Great Britain at the World Taekwondo Grand Prix in Manchester, later this month. 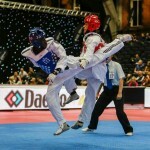 Commonwealth Championships silver medallist, Feyi Pearce, who is a member of Allen Taekwondo Academy, has achieved a great deal during his time as a junior athlete and will begin training in Manchester in the -58kg weight division. Fighting Chance newcomers, -80kg Ryan Marlow and -49kg Shannon Ryan, both of whom are entering the squad from a kickboxing background, will be fighting alongside the likes of former graduates London 2012 bronze medallist Lutalo Muhammad, World Championships silver medallist Damon Sansum and European Games Champion Charlie Maddock. Our hopes are high for the new athletes and we wish them the best of luck for the future.